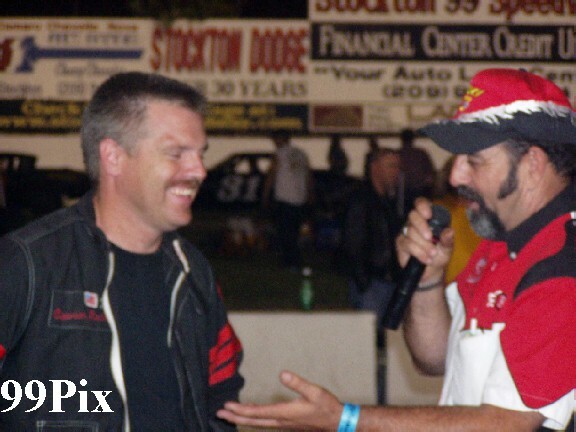 STOCKTON 99 SPEEDWAY, SATURDAY, SEPT. 4 -- In front of close to 4,000 race fans (left), Pacific Grove’s Dave Byrd, #9, captured the 2004 HAVOLINE/CL BRYANT Tri Holiday 100 Classic! “If we won the Tri Holiday, then I’m the happiest guy here,” said Byrd, just prior to receiving official confirmation that track officials had scored him as the winner. 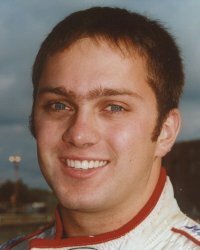 Byrd started the 20-car race four-deep on the outside, he finished third, behind first place finisher Jason Fensler, of Wilton, and Stockton’s Pete Anderson Jr. But, the third place finish earned him the points needed to pull ahead of the Tri Holiday pack to take the title. The NASCAR DODGE Weekly Series quarter-mile Tri Holiday 100-lap main event had something for everyone -- skilled driving, Pure Stock-style spinouts and an ever changing field front runners. 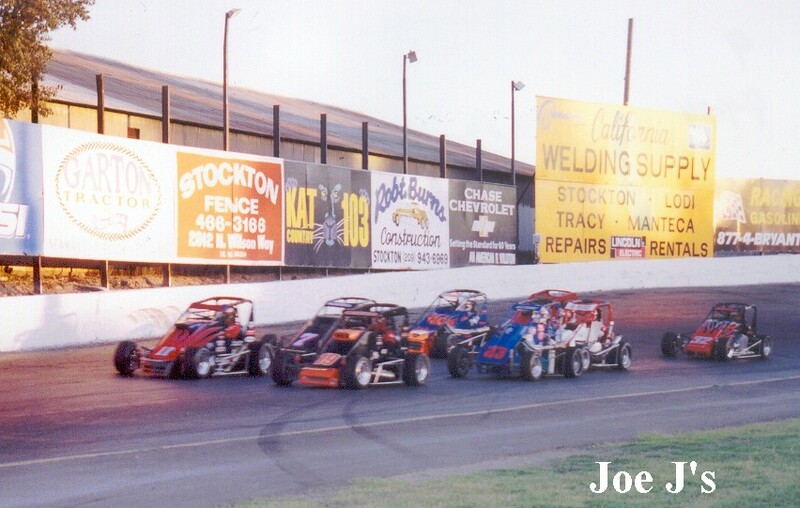 Turlock’s Chris Monez started at the pole in the 20-car race, Granite Bay’s John Moore started at outside pole, Manteca’s Guy Guibor started two-deep inside, Anderson Jr. started two-deep on the outside, Chowchilla rookie Eric Humphries started three-deep on the inside, Stockton’s Danny Contessotto started next to Humphries, Jason Fensler started behind Humphries and Byrd next to Fensler. 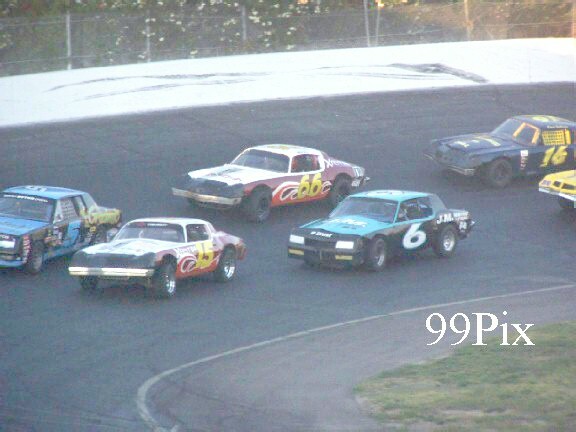 But, before the race was over, Moore, Monez, Anderson Jr., Byrd and Fensler had traded off at the front position five different times, Anderson Jr. and Monez each worked their way back to the front after having been placed at the back and Contessotto lost his driver’s side front and rear quarter-panels and door. Toward the end it looked as if the race could have belonged to Byrd, Fensler or Anderson Jr. Then, in lap-82, Monez, who had started working his way toward the front after being sent to the back, made a play for first out of turn-3 -- suddenly it seemed as if he might regain the lead. Then, he lost control and took himself out of the race. Byrd restarted at the pole with Fensler to his outside. 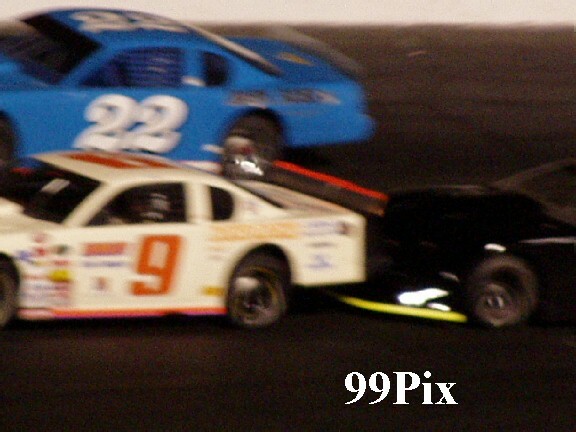 Byrd took a quick lead, but by lap-90 Fensler jumped out front where he stayed through to the end. 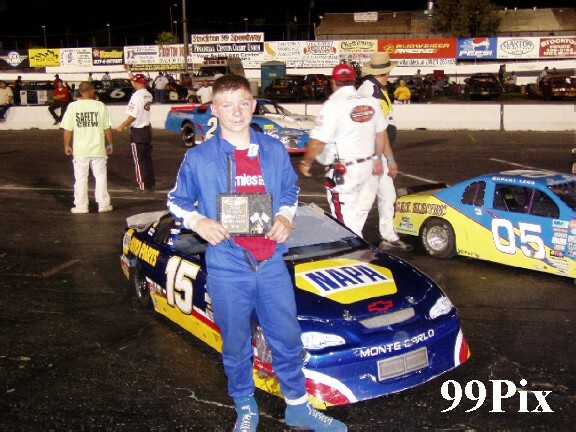 The win was Fensler’s second Tri Holiday main event victory, he won his first July 3. Roseville’s Shannon Mansch finished at fourth and Masellis ended at fifth. 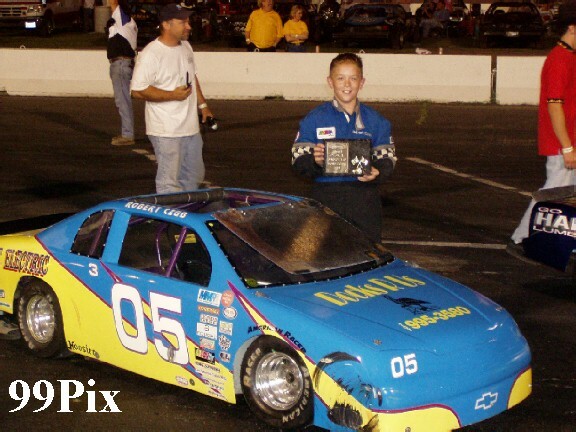 Pure Stock competition ended Saturday night --and the waving of the final checkered flag wrapped up a variety filled season. Stockton’s John Medina, #6, through consistency, earned the division title with only a single main event win. 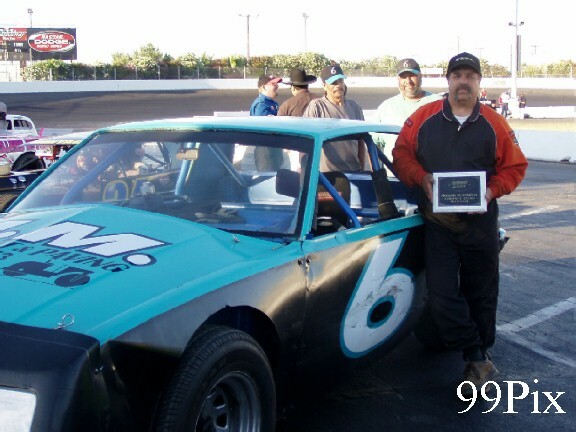 Modesto’s Charlie Clawson earned the most main even wins with six this season, and held onto the track qualifying record. 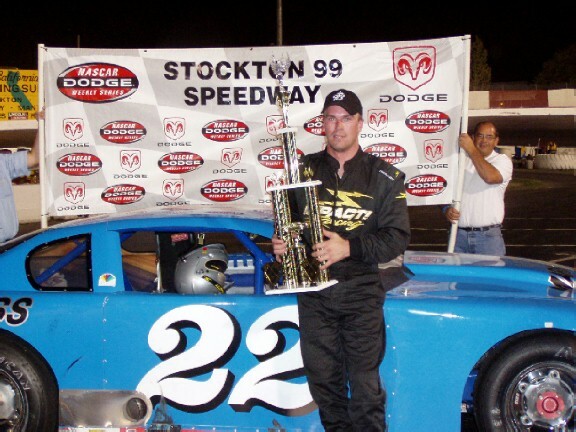 Manteca’s Johnny Cardoza won the final 30-lap main event. Clawson, who attempted to earn a spot in the Tri Holiday 100 took to the wheel in a Western Late Model in the Tri Holiday B-main, but didn’t make it into the main. 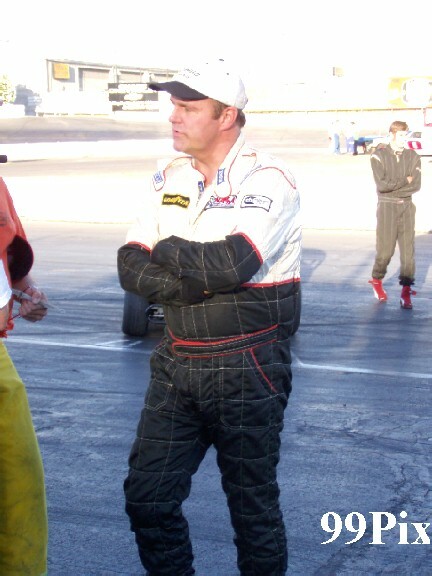 Following the Pure Stock race he said that there is a chance that fans could see him return to the track in the Western Late Model division next season. 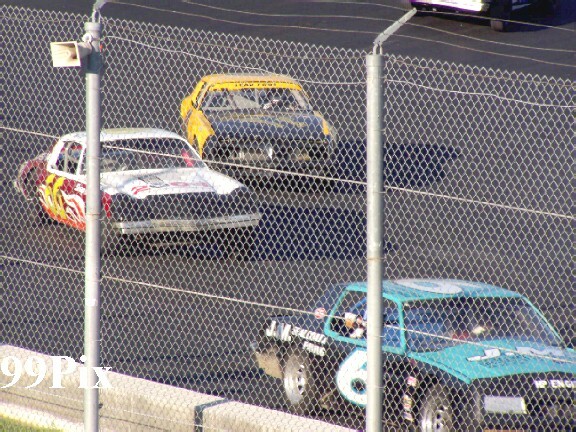 Cardoza, #40, rolled to victory in the final Pure Stock race of the season -- ironically, the first division 30-lap main that ran flag-to-flag, with no cautions. “I started sixth and had to do a lot of passing,” said Cardoza. “It feels good to have passed all those guys for the win,” said Cardoza. Clawson finished second, Stockton’s Richard Harper finished third, Medina came in fourth and Stockton’s Chad Holman ended at fifth. 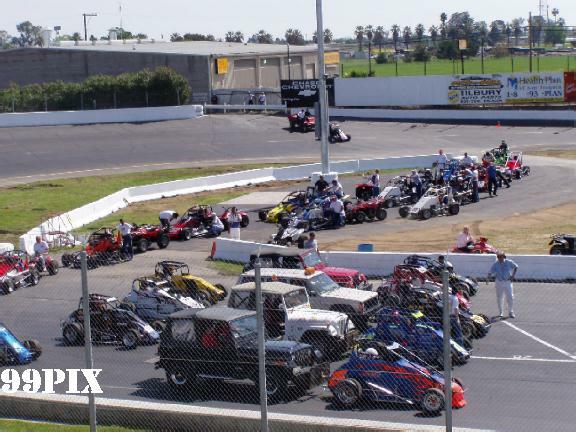 Bay Cities Racing Association (BCRA) Midgets, 750-horse USAC Sprint Cars and Miniature Motorsports Racing Association’s (MMRA) 8-to-16-year-old drivers drove in mini Nextel cup cars Saturday night. Indiana’s Michael Lewis, #40, won the BCRA main event, Alamo’s #35, Scott Pierovich took second, Livermore’s Greg Dennett placed third, Pleasanton’s Pete Davis finished fourth and San Francisco’s Tim Joyce ended at fifth. 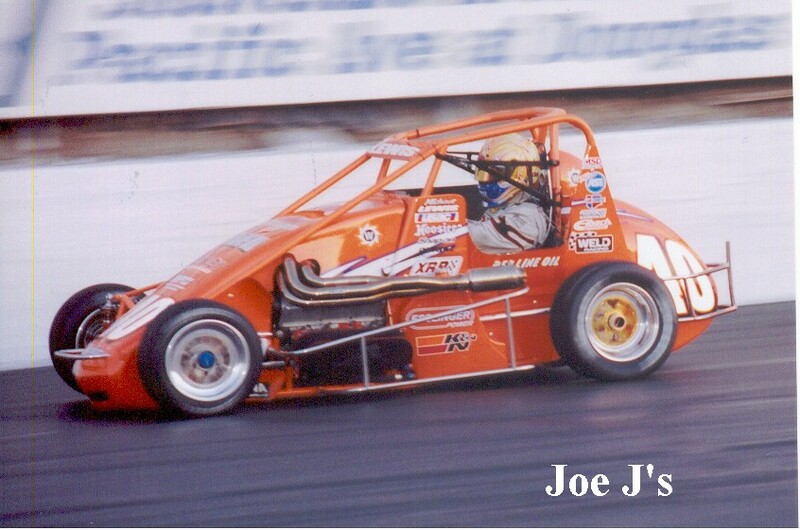 San Francisco’s Tim Barber, #14, took first in the USAC main event, Fair Oaks’ Tony Hunt captured second, Chico’s Brad Bumgarner ended at third, Meridian Indiana’s Mike Murgolito finished fourth and Santa Rosa’s Brian McClish finished fifth. In MMRA action Morgan Hill’s Dominic Porter, #12, captured the win, Manteca’s Jacob Gomez, #05, finished second, Roseville’s #15, Robert Czub took third, Rio Linda’s Jonathan Hale took fourth and Brentwood’s Doff Cooksey finished fifth. 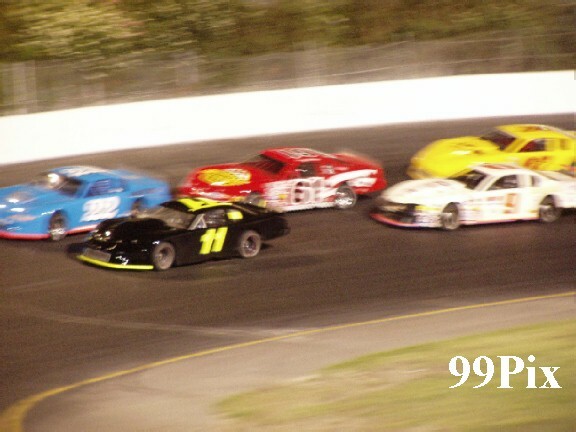 On Saturday, Sept. 11 Stockton 99 Speedway will be closed for the Richmond, VA. Nextel Cup Race. 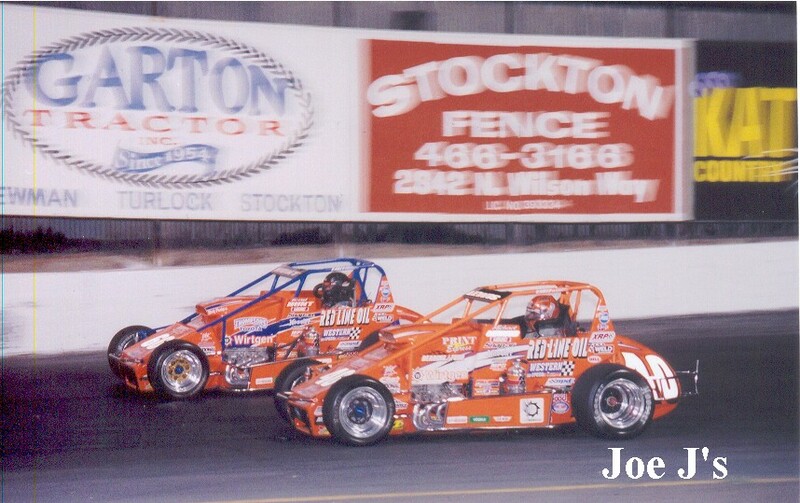 On Saturday, Sept 18 Stockton 99 Speedway will host the HAVOLINE/C.L. BRYANT/DODGE Grand Season Finale, featuring a "Giant School Bus Destruction Derby", Annual "Powder Puff" race for the ladies and double points night for Western Late Models, Grand American Modifieds and Pro-4 Trucks. 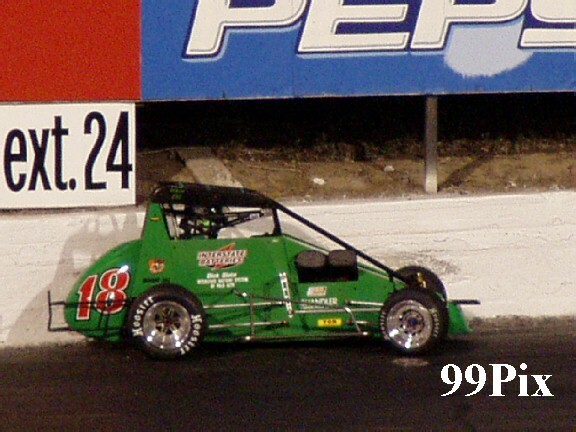 STOCKTON, CA, SEPT. 4: Michael Lewis topped the field in the Bay Cities Racing Association Midget feature at the Stockton "99" Speedway. 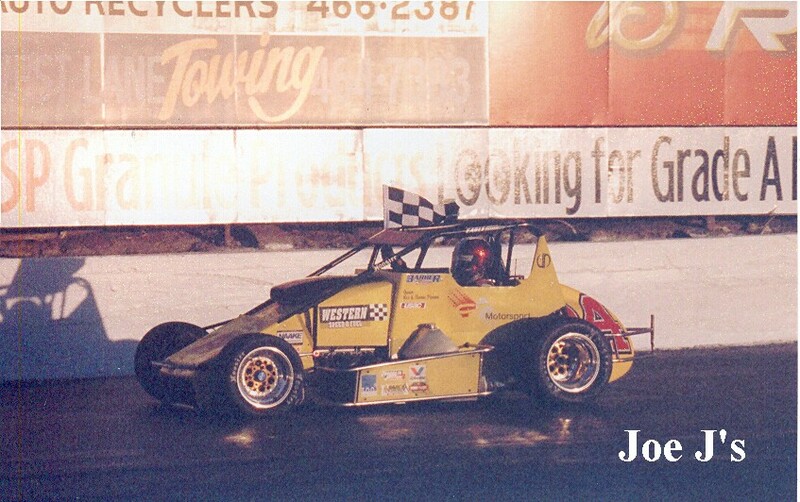 The Indiana driver scored the 30-lap run from his 14th starting position, leading two BCRA rookies across the line aboard the pristine Western Speed Racing Esslinger powered Beast. Tim Joyce jumped into the lead from his outside front row berth at the green with John Sarale skirting into second over pole-sitter Shannon McQueen. BCRA point leader Thomas Meseraull held fourth over Cliff Servetti as fast-qualifier Lewis picked off two cars to hold 12th. Meseraull displaced McQueen on the third round with Pete Davis slipping by to hold fourth. Lewis gained one position for each of several laps, then moved into seventh on the fifth round. 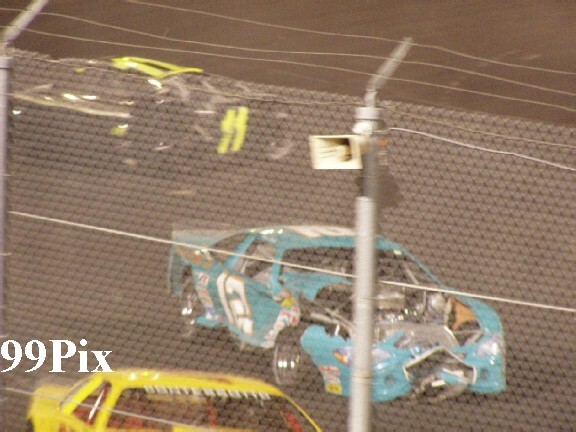 On the eighth lap Brian Gard spun his Borghasani Beast/Gaerte Chevy in the second turn to bring out the caution flag. Lewis held sixth behind Joyce's Segur Ellis/Wirth Gaerte with Sarale, Meseraull, Davis and Servetti in front of the nationally ranked challenger. Following the green, McQueen, making her very first start on pavement, spun the newly acquired Stealth/Esslinger in the fourth turn. At this point Meseraull's race came to an end with overheating problems and he pulled the Ferrari Beast/Brayton Ford into the pits. Lewis was now sitting fourth. He immediately dropped Davis then set out after Sarale, passing the Arata/Sarale Motorsports Beast/Chevy on the inside of turn three to hold second, then, one lap later, scored the lead with an inside pass of Joyce exiting turn four. During the encounters at the front of the pack, Scott Pierovich was threading his way from tenth, pulling into third on the 11th circuit. 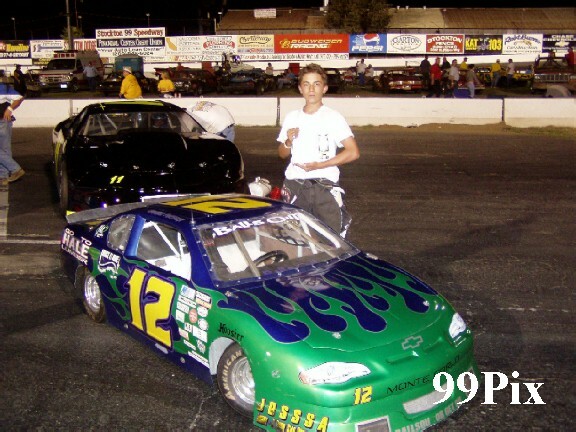 The young rookie then whipped his Beast/Mopar under Joyce exiting the fourth turn to take second. At the halfway point Lewis held the lead over Pierovich, with Davis outdueling Joyce for third. 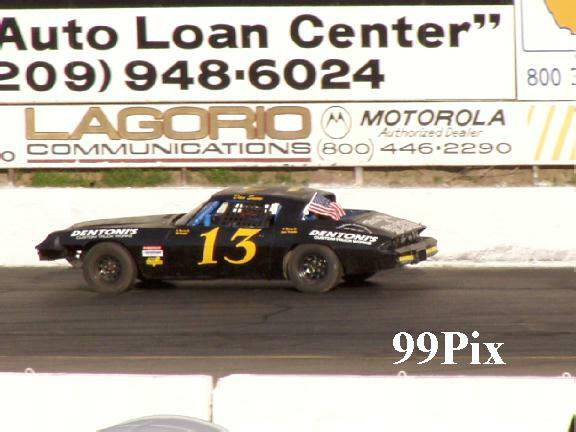 Now holding fifth was rookie Greg Dennett, charging through traffic from his 13th starting position in the 3D Racing Beast/Wirth Chevy. McQueen brought out the caution with a turn-one spin on the 18th lap, but not before Dennett gained yet another position to hold fourth. At the green Dennett dislodged Davis' Beast/Esslinger for third. Joyce held fifth over Michael Hubert III, Sarale and veteran Floyd Alvis, Dallen McKinney and Brian Gard. On the 23rd lap the most serious encounter of a contact kind occurred when Gard tangled with Alvis, sending the veteran's Stealth/VanDyne spinning into the backstretch wall, to be lifted and towed to the pits. Gard was sent to the rear by referee Tom Manning. 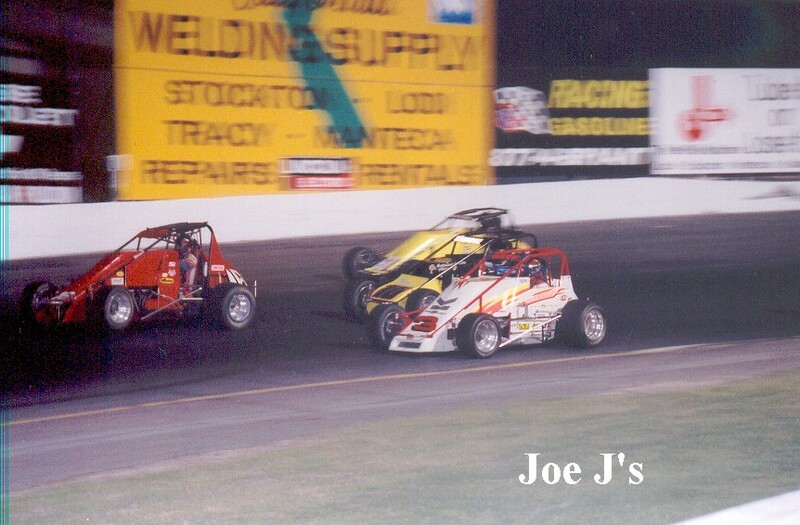 Gard dropped out three laps later.From this point the race ran straight to the checkered flag. Both Pierovich and Dennett held their own against the visiting national driver, not allowing Lewis to expand his lead. 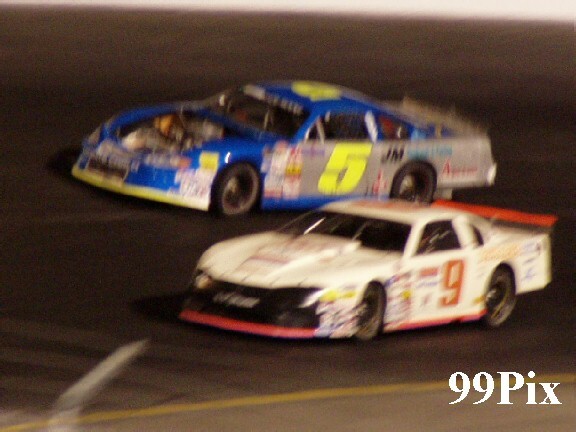 At the line Lewis took top money over Pierovich, Dennett, Davis, Joyce, Hubert, McKinney, Sarale, Servetti, McQueen, Jim Silva, Eddie Abrew, Carly Lawrence and Joe Lindsey, all completing the 30-lap route. Lewis outqualified the 18-car field at 13.363. Silva took the first heat race over Sarale and Joyce with Meseraull taking the second 10-lapper over Lewis and Gard. 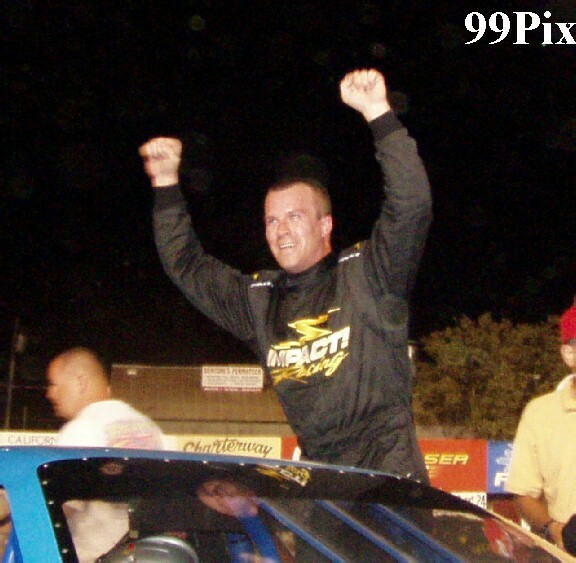 Dennett won his third trophy dash of the season.